Glenn Van Warrebey served as a navigator in the Merchant Marine during World War II. On one voyage in 1942, they brought 400 tons of pitchblende (uranium ore) from the Belgian Congo to New York for research to develop the atomic bombs. He joined Seaboard in 1950 and flew as a navigator for about twenty years. Glenn is survived by his wife, Eleanor; and son Wayne. 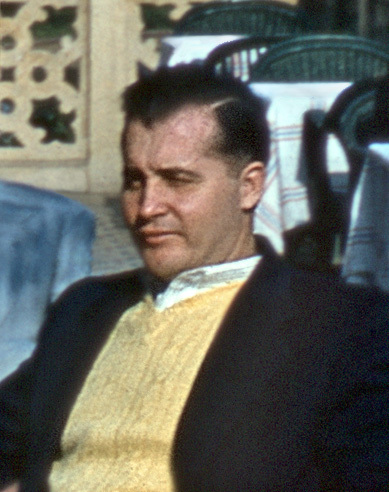 He is seen here at the Heliopolis Hotel in Cairo, January 1955.